Best Quality Hot retreading material available for Tractor / JCB / Truck /Bus /LCV tyre. 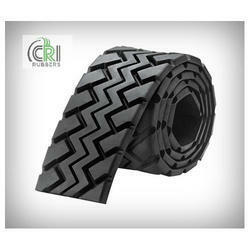 Owing to the wide experience in this domain, we are instrumental in offering Tread Rubber to our clients. 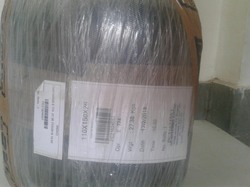 We are engaged in offering Conventional Tread Rubber. We sufficiently enrich our hot compound with antioxidants to enhance its durability, when compared to other brands. This specially developed product is known for its enhanced shelf life and mileage. It is available in different grades and in customer specified sizes (such a Truck, Tractor & OTR) to suit varied applications. Conventional Tread Rubber is uncured tread rubber used for tyre retreading. These Conventional Tread Rubbers are used in different vehicles such as HCV, tractors, and LCV. Different sizes of tyres require different sizes of tread rubber and thus we offer Conventional Tread Rubber in various specifications. -8-tyre size to OTR tyre size. In addition, we provide fast curing tread that is 4 minutes/gauge and customers dimensions and sizes.